I bought these shoes for a Chicago trip and ended up wearing them on days where I walked up to 20,000 steps a day. Additionally, they are gorgeous, and I received compliments on them. 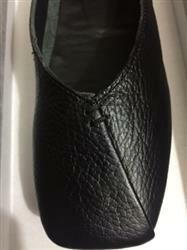 I bought them in black and will certainly purchase them in another color. 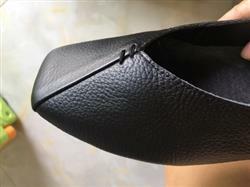 Shoe leather is very soft, comfortable to wear, without grinding feet. Generally speaking, the cost-effective, worth starting, a satisfactory shopping. Fine workmanship, wearing feet feel comfortable, the shoe of this shop has been purchased for the second time, the quality is good, and will continue to patronize. The size is true. I usually wear a 6US for flats. I have a bunion and this shoes does not hurt because the leather is soft. It feels like you are walking on air due to how its sole is designed. I tried is as soon as I got it from the mail. No break in needed. So far,the most comfortable shoes I ordered that has a high quality for the price I paid. Will order in another color. Gorgeous shoes! Excellent quality and perfect service with an extremely fast delivery time. A shop to remember and to visit again!